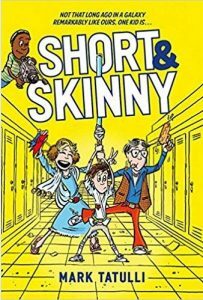 Short & Skinny by Mark Tatulli. Little, Brown, 2018. 9780316440516. 250pp. 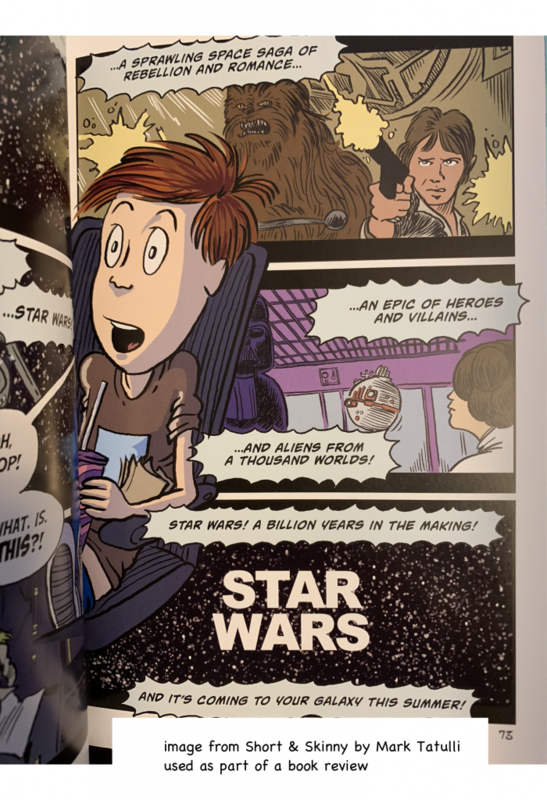 Cartoonist Mark Tatulli’s autobiographical graphic novel will appeal to lots of creative kids, and it’s also custom made for fanboys like me who were a certain age in 1977. Mark is small for his age, and dreams of being a superhero, talking to the girl he likes, and being free of junior high bullies. His solution: send away for several of the muscle building kits advertised in the back of comic books, and then return to school after vacation a changed man. But over the summer something changes him more: seeing Star Wars! Mark wants to create his own parody of the movie (and does), which set him on a path to a decades-long career in TV before he starts making comics and illustrating books.